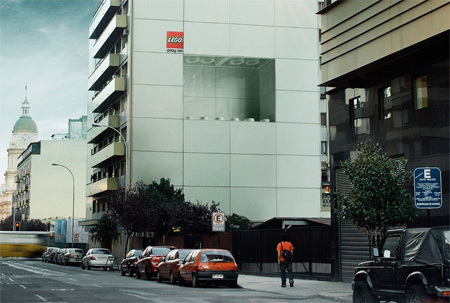 Memorable and creative LEGO advertising campaigns from all over the world. 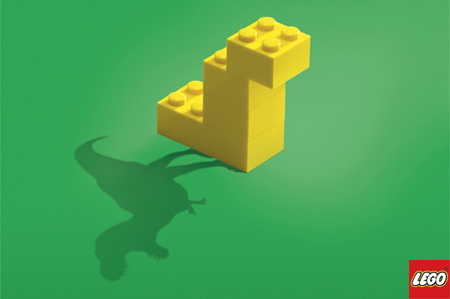 Clever LEGO ad based on the iconic photograph by Charles Ebbets. Cool outdoor ad in Chile made to match the panels of the building. 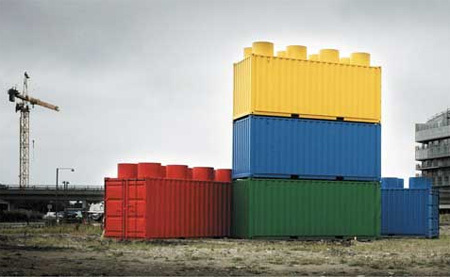 Shipping containers decorated to look like giant LEGO bricks. 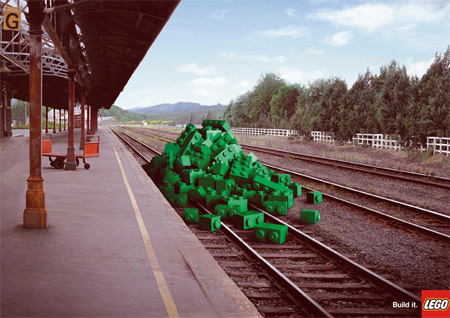 Copywriter: Nicolás Soto I; Art Director: Javier Pizarro P.
“Build it” by Saatchi & Saatchi advertising agency from Singapore. 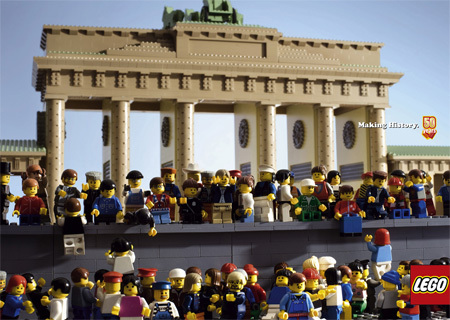 Creative ad campaign features historical events recreate in LEGO. 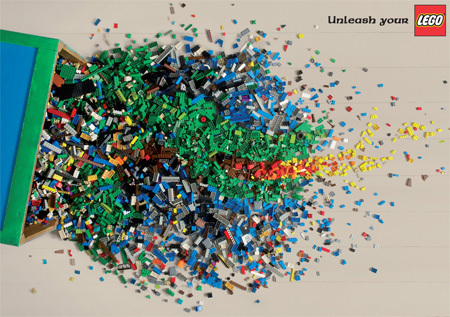 “Unleash your LEGO” by McCann ad agency from Oslo, Norway. 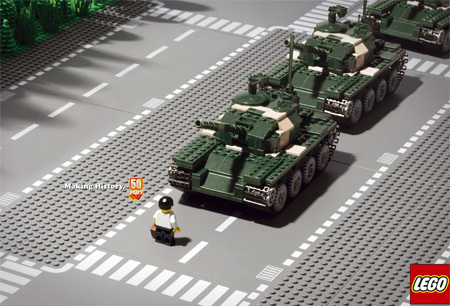 Cool LEGO ad encourages imagination: “small toys, big stories”. 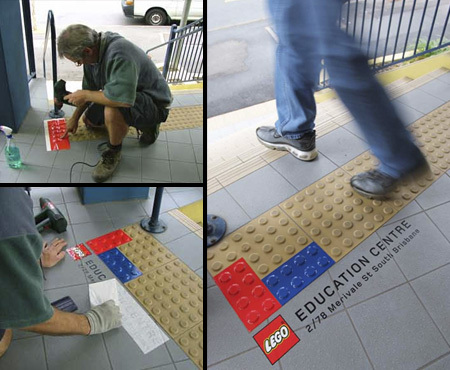 LEGO Education Centre recently opened in Brisbane, Australia and to create awareness Publicis Mojo Brisbane took advantage of the safety bubble-mats found on steps and footpaths around the city. 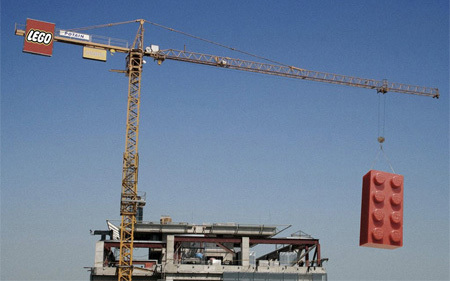 Construction cranes in Santiago, Chile were decorated with giant LEGO blocks during the weekends. 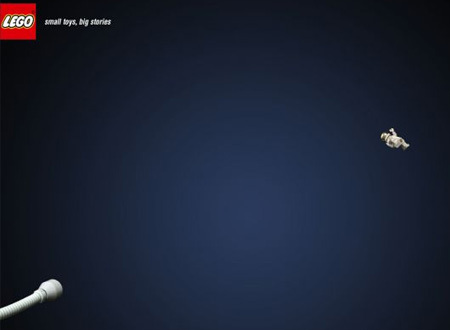 Love the “Making history” series.. The “historical events recreate” that one is really creative! But will five years old get the point!! Nope!!! Awww! My kids grew up with Lego; it’s good to see Lego grow up too. 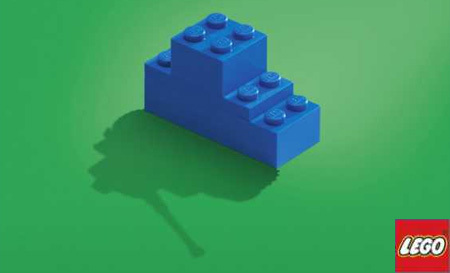 My favorite is the simple creations with imaginative shadow and the huge lego hanging from the crane. Yeah, the shadow ones are excellent. 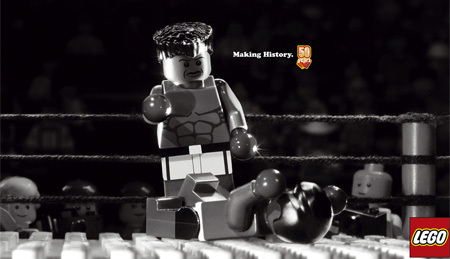 Lego making history! Love it! So creative! Some are truly inspiring! I’ve seen most of these around the web in separate clever and creative advertising posts and so on. 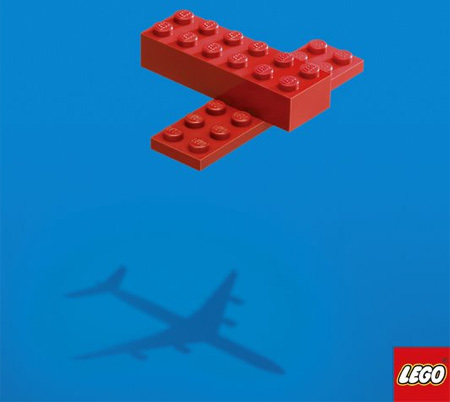 This is a great snapshot compilation of many of Lego’s wonderful advertising techniques. Great post. 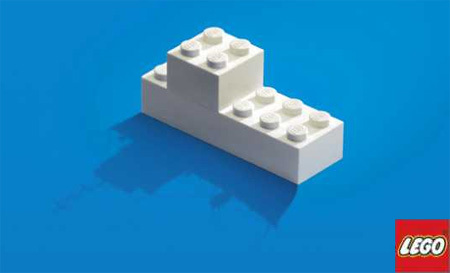 This the one of the most gorgeous LEGO ads is missing, which got the Grand Prix at Cannes Ad Contest 2006. Pretty Cool! Leggo is a classic toy. We really enjoyed analyzing this ad campaign for our Marketing and Advertising class. 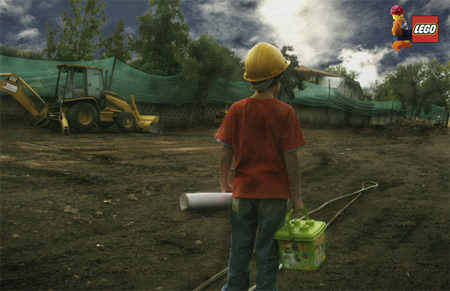 We found it interesting and we enjoyed the usage of a child’s imagination in your ad. what are the shadow ones about ?? the pavement ones are awesome too!!!!!!!! !